You will Watch G.I. 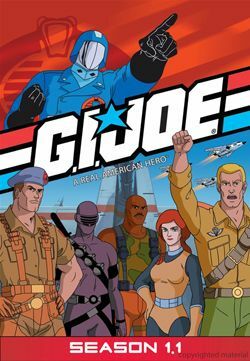 Joe: A Real American Hero Season 1 Episode 20 online for free episodes with HQ / high quality. Stream cartoons G.I. Joe: A Real American Hero Season 1 Episode 20 Cobra’s Candidate A sleazy political candidate hires Cobra to cause trouble for his opponent Robert Harper during their mayoral campaign race. They keep sending gang members to harrass and ruin his campaign, but the G.I. Joe is sent in to restore law and order.